While thinking ahead a full year may seem like a bit much to most home gardeners, flower farmers are busy doing just that. I try to write down everything I learn- I'm documenting things almost every day in all these little journals that float around out house. I share those thoughts here in hopes that they might help other growers. So, here are some things I'm learning now about annuals and how they perform at the end of our fall season in the Adirondacks. The weather has been a bit strange this fall- we had our first frost on September 2. I don't have any high tunnels. My flowers are protected by low tunnels (individual row cover). I covered all of my annuals at the time of the first frost, and I continued to cover almost all of them through mid-October with either low tunnels or row cover (Agribon-50). The exceptions were the tall sweet peas and hyacinth bean vines. Everything else got shelter-- even my sunflowers -- see the 'Dack Hack' article for my method. In the last weeks of October, I finally gave in and started to turn over my beds to plant spring bulbs and store farming materials for the winter. I left the surviving annuals to the elements to see what would happen. That experiment has been pretty surprising. Many of the plants are doing well, despite the heavy frosts in our little valley. If I had known last spring what I know now- I would have planted those varieties together, so that I could turn over the "past" flower beds and leave the fall producers going longer for the late markets and other end-of season orders. Next season will be better (that's something I think all farmers truly believe and end up saying every year). 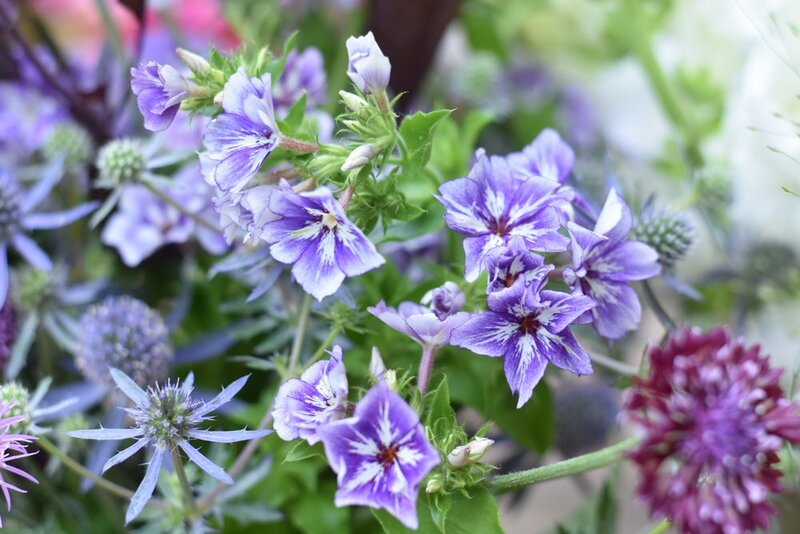 I connected with Jamie Sammons of Jayflora Designs earlier this month to build a collective list of the flower varieties that were resisting and surviving frosts on our respective farms. (Jamie is a fellow New York State flower farmer. Her farm is 45 minutes northwest of Albany, New York.) Here are our "survivors". Keep in mind, we do try to cover most of these plants to give them some protection and pro-long the season. These varieties resisted the frosts. There were others that didn't make it, even with the cover. I gave up on covering my plants the last few weeks. I didn't turn the snapdragons, calendula, dusty, cerinthe over yet-- they all still look good, despite full exposure to a heavy frost several nights ago. I tilled the phlox and larkspur in - they were pretty damage free when I did it, though! I just needed the space for the tulip beds. Who are your survivors? Please chime in and share in the comments.